- In addition to the bilingual features and Sense Dictionary for language practice and learning, - Braille Sense U2 offers fraction calculation and Nemeth Braille code entry into a fully functional scientific calculator. 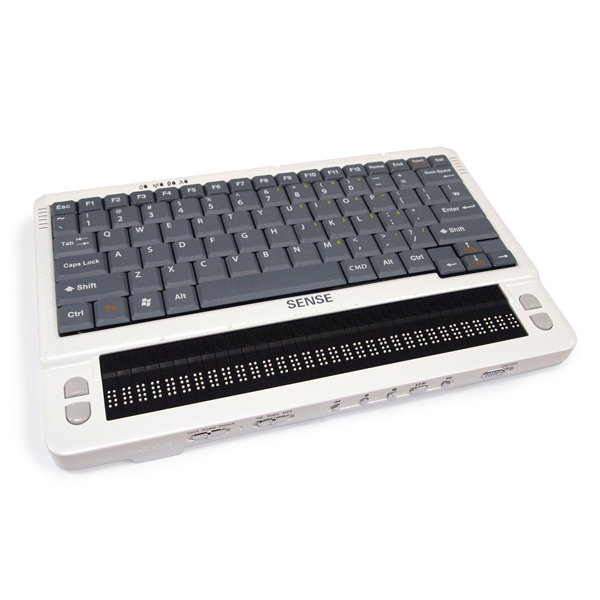 Our unique built-in LCD allows sighted teachers and parents to view a student’s progress while he uses Braille Sense U2. - HIMS’ unique, flipable USB Plug in Play LCD display(Optional) has facilitated easy and natural communication with the deaf-blind. Now with an added vibrate Motor, a deaf-blind person can be alerted to receive messages or errors in input or navigation. * Weight: 924g / 2lbs.